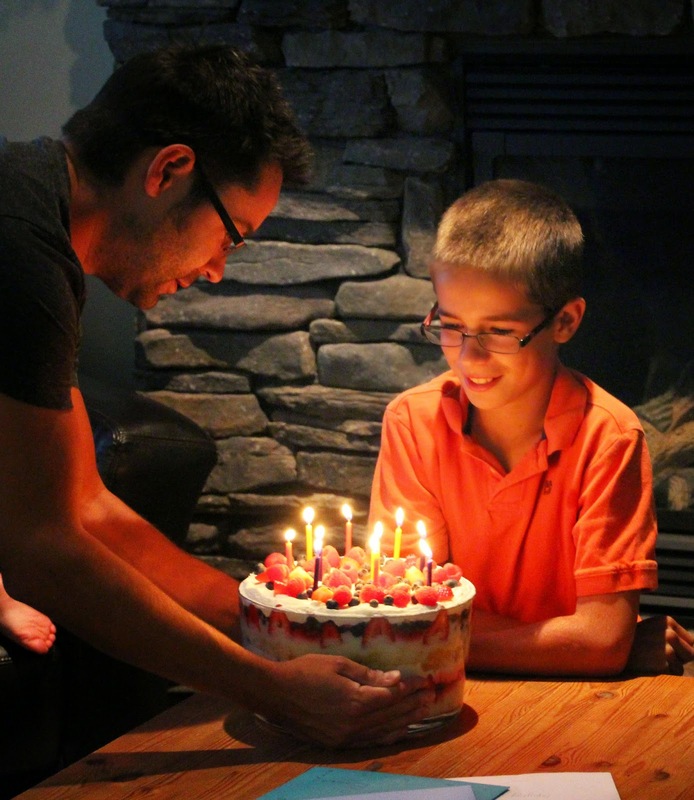 We were in Winnipeg for Jakob's actual birthday, so we celebrated a little later this year with my family. Friday we had a party with Jakob's Oma's & Opa's, Aunts, Uncle & cousins. The room lit up with all those candles! 11!! !